"Engineering Approaches to Graphic Design"
Leonardo da Vinci proved that engineering and graphic design are not mutually exclusive. In fact, an engineer’s ability to communicate visually not only assists in documentation and communication, but it also promotes brainstorming and facilitates playful manipulation of ideas. Regrettably, today’s engineers become specialists, and don’t receive training to explore their visual side. Too many of today’s engineers are needlessly intimidated by art and graphic design. This is baffling because graphic design depends on math and physics—things that engineers are otherwise trained to do. 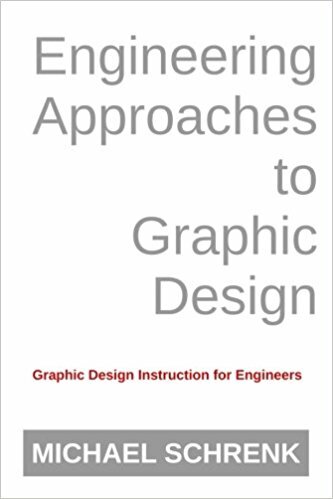 “Engineering Approaches to Graphic Design”, was written in a way that not only teaches the fundamentals of graphic design, but does so in a way that leverages what engineers already know. 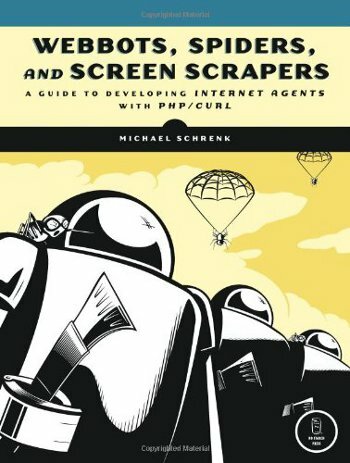 "Webbots, Spiders, and Screen Scrapers, 2nd Edition"
"Webbots, Spiders, and Screen Scrapers, 1st Edition"
This is the first book dedicated to all aspects of automating online tasks.